Great location. Good breakfast croissants. Front porch great for people & bird-watching. We loved the smallness of it. Very cozy and intimate. The staff were amazing people and very friendly. And it was only 1/2 block away from Duval St., yet we didn't hear any noise. Location. Location. Location. And the hospitality is fantastic. Overall a great value. We’ll be back. The location was terrific The room was spacious and comfortable. Overall, we had a wonderful time. Location location location. The property was near everything, and it was small enough so you felt like you were going home. Staff were very nice. Laundry was free on the property so that halped for sure. Great location! Every need of ours was taken care of and the hospitality was outstanding. We will return for a 3rd time for sure. Location. Friendly host. Clean! Quiet. Room #4 was nice and comfortable. The host was wonderful and very attentive to my family’s needs. The villa we stood is was very nice. Location was perfect! 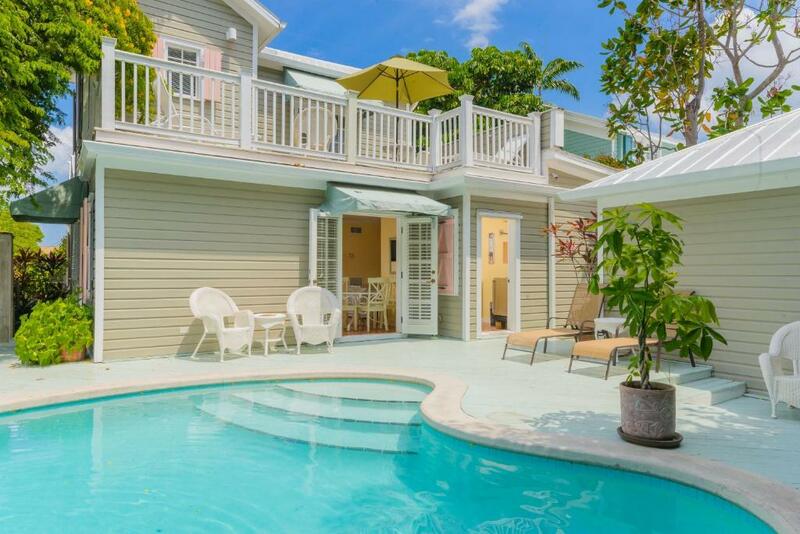 Lock in a great price for Villas Key West – rated 8.9 by recent guests! 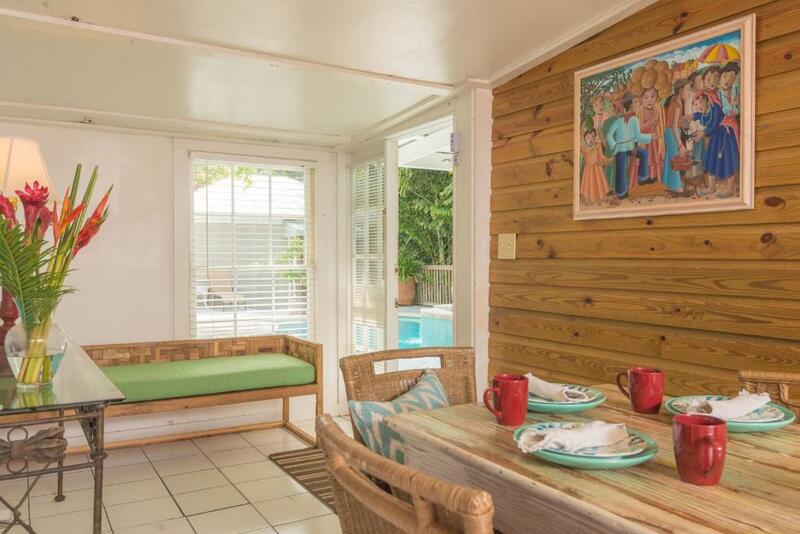 In the heart of historic Key West, guests will be a 1-minute walk from Duval Street. A heated pool, daily continental breakfast, and free Wi-Fi are provided. All rooms feature a private bath, small refrigerator, and microwave. Apartments at Villas Key West include a full kitchen and sitting area. Villas Key West guests can rent a bike and explore Key West. A guest laundromat is available as well. Guests will be within a 10-minute walk of The Southernmost Point and the Ernest Hemingway Home and Museum. Mallory Square's shopping and sunset celebrations are also a 10-minute walk from the property. 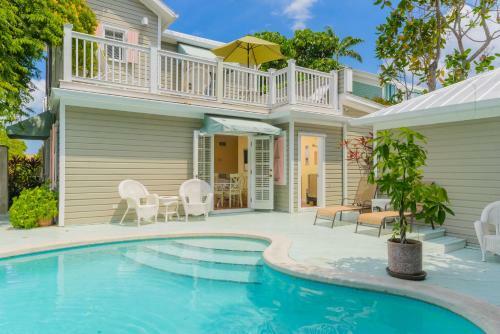 When would you like to stay at Villas Key West? This suite features a full kitchen, pool view, and sitting area. Public parking is available on site (reservation is needed) and costs USD 15 per day. This suite features a microwave, small refrigerator, and pool view. This studio features a full kitchen and a pool view. This apartment features a full kitchen and a private entrance. The spacious apartment is located by the pool area. A full kitchen and sitting area are also included. This apartment features a private entrance, full kitchen, and sofa bed. House Rules Villas Key West takes special requests – add in the next step! Villas Key West accepts these cards and reserves the right to temporarily hold an amount prior to arrival. Guests under 25 years old can only check in with a parent or official guardian. Jim was especially kind and friendly. Nighttime vehicular and rooster street noise is a bit of an issue, due to old single-pane windows. Bathroom shower could use a gallon of bleach. The broken-down dishwasher needs replacing. Very dirty and the pictures are misleading. The bed was uncomfortable. But after 4 nights of not sleeping good, we complained to the manager. So he had a memory foam mattress topper put on the bed. It was wonderful after that !!!! It was rated faboulus but was very ordinary. It is over rated regarding the price and the quality of the installations. Would need lot of TLC. The room was very small, no chair or sofa to watch tv. The cleanness of the whole place needed refreshing and improvement. We where charged 15$ for parking after booking! The beds are horrible. The bathrooms are poor, there is too much light at night coming from outside. The windows need better shades. Overall Not at all as it is presented in the pictures. For the money I spent, I could have gotten a better place. Very clean...Jim was the best...will be back. Bed rocked my back. Not very comfortable at all. Could’ve have been a bit more updated for the price, but again the location made it worth it. The pool/hot tub were nice but hot tub certainly wasn’t hot.